Hi everyone! I can't believe that it's already the middle of July! This summer is going way too fast for me! Come to think of it, fall, winter, and spring are like this too:) That's part of the reason I like the new every other month releases at Avery Elle. It's nice to have some time to play with the stamps! 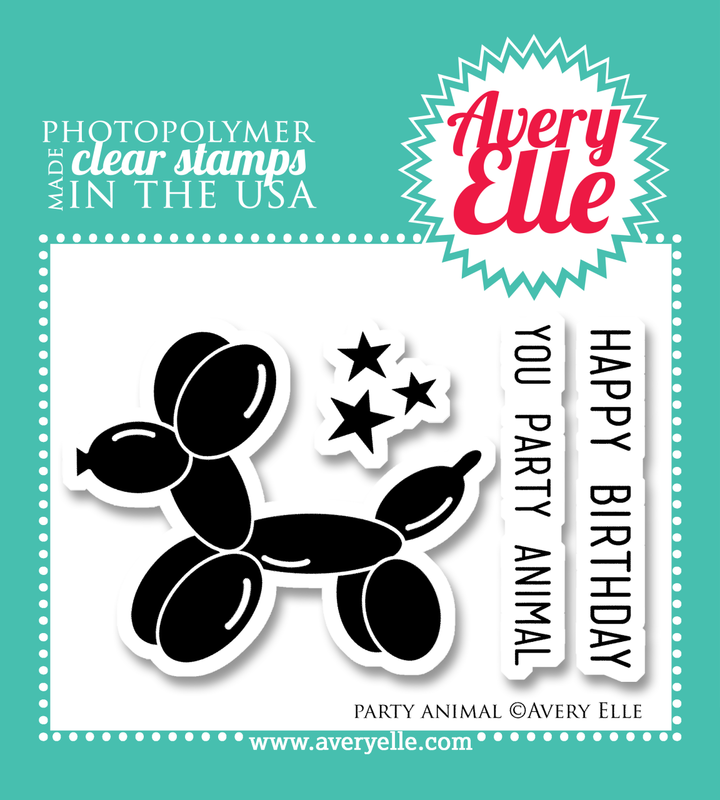 Stamps like the new Party Animal mini set from the June/July Avery Elle release! How much fun is this balloon animal stamp? To go along with the party theme, I used the streamer stamps from Celebrate to create a festive party! 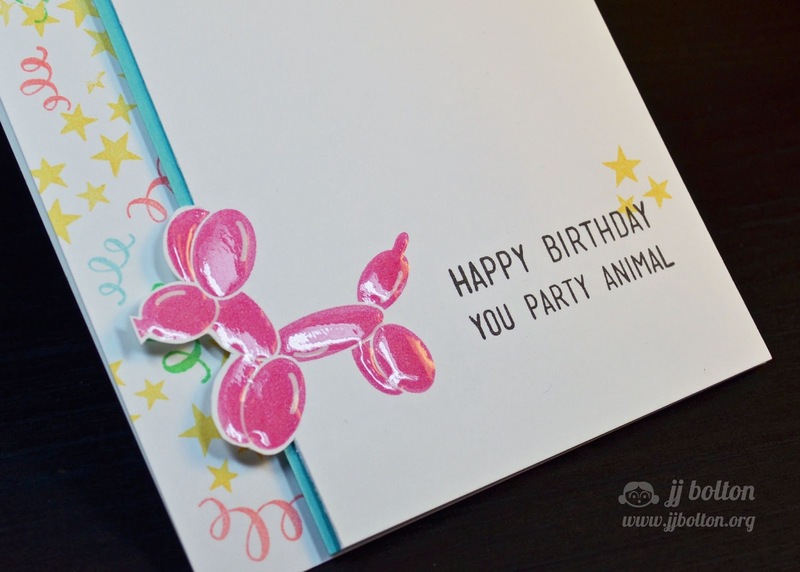 I stamped the balloon animal onto a piece of white card stock and fussy cut only around the left side of the image. I love how the little guy is hanging off the panel. If you look close, you can see that I covered the balloon animal in glossy accents just for a bit of dimension (got that trick from Nina;) Just a fun birthday card for practically anyone of any age! Thank you so, so much for stopping by! I hope you're having a wonderful week! oh that is so cute. I love the little details with the glossy accents and the strip of blue peeking through. Cute cute card JJ, lvoe the streamers and the Flossy Accents. Ack! This is so adorable! Love it! 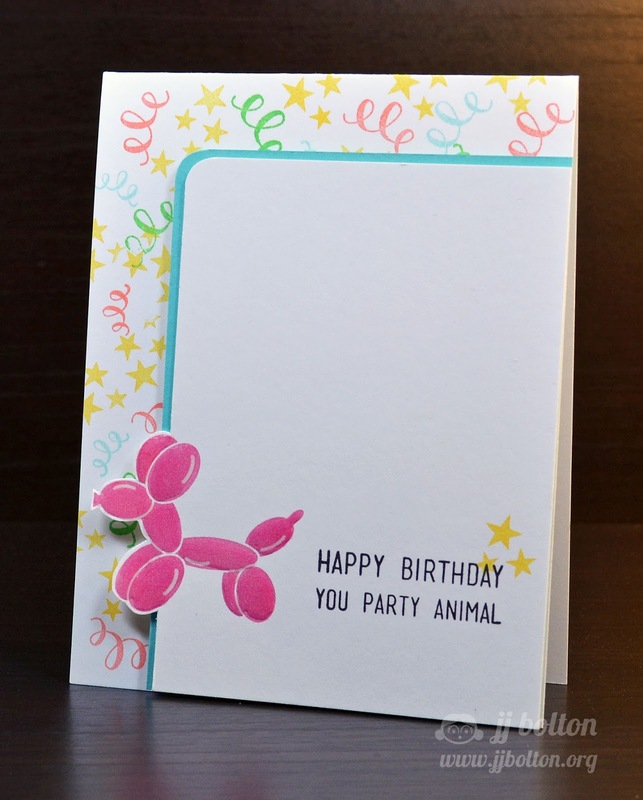 Oh, I just LOVE this card, JJ! Great idea to fussy cut him along the one side...so clever, and I love that you covered him in glossy accents! Love this! The glossy accents are perfect, that Nina is so smart! Looking forward to getting this stamp!! 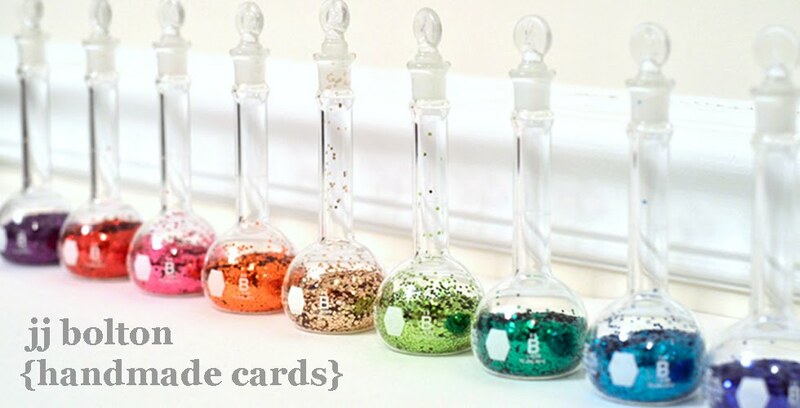 You are a master at spacing things out ... so in love with the design of this card. Simple, yet so DIFFERENT. Love, love. And a big "yes" on the glossy accents!